21.1. What is Level of Detail (LOD)? 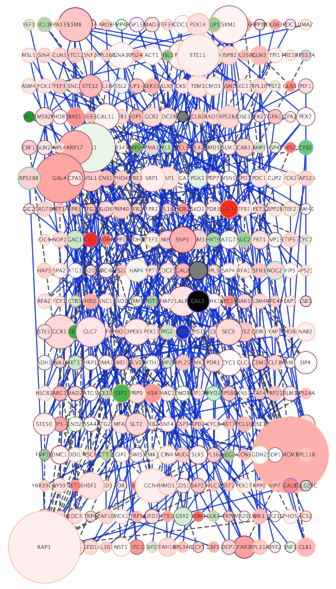 Cytoscape 3.0 retains the rendering engine found in version 2.8. It is to be able to display large networks (> 10,000 nodes), yet retain interactive speed. To accomplish this goal, a technique involving level of detail (LOD) is being used. Based on the number of objects (nodes and edges) being rendered, an appropriate level of detail is chosen. 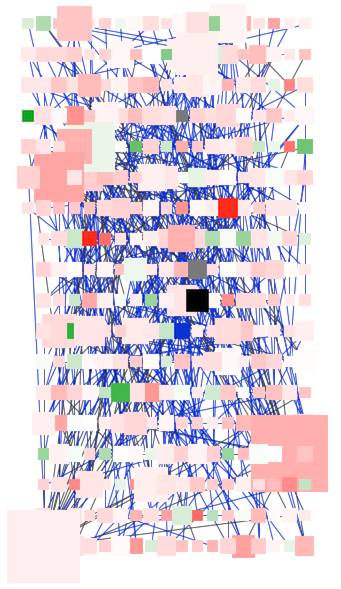 For example, by default, node labels (if present) are only rendered when less than 200 nodes are visible because drawing text is a relatively expensive operation. This can create some unusual behavior. If the screen currently contains 198 nodes, node labels will be displayed. If you pan across the network, such that now 201 nodes are displayed, the node labels will disappear. As another example, if the sum of rendered edges and rendered nodes is greater than or equal to a default value of 4000, a very coarse level of detail is chosen, where edges are always straight lines, nodes are always rectangles, and no anti-aliasing is done. The default values used to determine these thresholds can be changed by setting properties under Edit | Preferences | Properties…. With low LOD values, all nodes are displayed as square and anti-aliasing is turned off. With high LOD values, anti-aliasing is turned on and nodes are displayed as actual shape user specified in the Style. NOTE: The greater these thresholds become, the slower performance will become. If you work with small networks (a few hundred nodes), this shouldn’t be a problem, but for large networks it will produce noticeable slowing. The various thresholds are described below. If the sum of rendered nodes and rendered edges equals to or exceeds this number, a very coarse level of detail will be chosen and all other detail parameters will be ignored. If the total number of nodes and edges is below this threshold, anti-alias will be turned on; this value defaults to 4000. If the number of rendered nodes equals to or exceeds this number, node borders will not be rendered; this value defaults to 400. If the number of rendered nodes equals to or exceeds this number, node labels will not be rendered; this value defaults to 200. If the number of rendered edges equals to or exceeds this number, edge arrows will not be rendered; this value defaults to 600. If the number of rendered edges equals to or exceeds this number, edge labels will not be rendered; this value defaults to 200. When printing networks or exporting to formats such as PostScript, the highest level of detail is always chosen, regardless of what is currently being displayed on the screen. If you want to display every detail of the network regardless of LOD values, you can toggle to full details mode by View | Show Graphics Details (or CTR+SHIFT+D on Windows/Linux, Command+SHIFT+D for Mac). This option forces the display of all graphics details. If the network is large, this option slows down rendering speed. To hide details, select the menu item again (View | Hide Graphics Details).